Bloggers Tech got a new service offered to everyone and I would like to take this opportunity to give you our photo to caricature drawings examples. 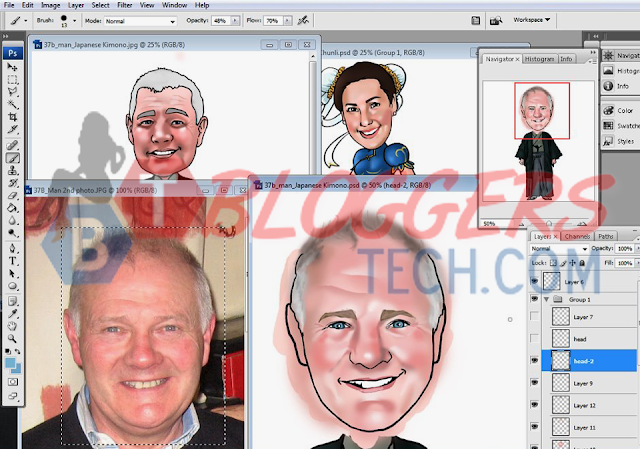 Letting you have a peak of our desktop with our caricature drawings. I personally call this service the Online Caricature Maker, it is where we draw caricatures from photos you provide. I've actually have a giveaway for this service, it was on my birthday this year and have actually got a caricature of myself as a sample. So obviously you can ask for a different pose, clothes, background as long as you provide a CLEAR photo of you to base our drawing. 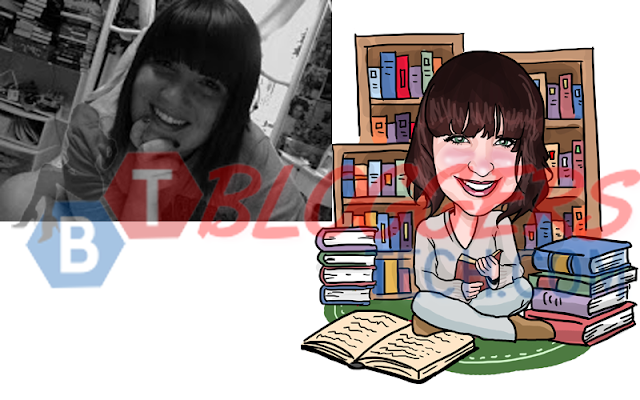 Let me also share with you another caricature example, here's the birthday giveaway winner Emily - there are actually another winner but I don't have a link to the photo anymore so all I can give you now is Emily's caricature. I haven't had a caricature done of myself since I was a child, but I was wonderfully surprised to win this giveaway a get a more recent picture done. The final product was amazing! I was blown away by how with a small bit of direction, the artist was able to completely capture what I wanted. It's adorable and fun and really portrays me well! The first thing I did was send it to my mother, and she has been begging me to print off a copy for her since! Wonderful work and I'm very thankful that I won this opportunity. Thank you so much, Gay! I absolutely love it! Here's a caricature drawing example where we took a screenshot of our orders of caricatures. As you can see we also do animals caricature drawings, so if you want a caricature of your pet then we can do that to but most of our orders are human of course. We have a different price for a higher quality caricature, take a look at the photo below you'll be able to see a different and higher quality in terms of colors. Take a look of how accurate how we draw caricatures basing from the photo that our customer provide. Here's my favorite and I think the best caricature from photo example I can give you since everything in the photo is in its best quality. 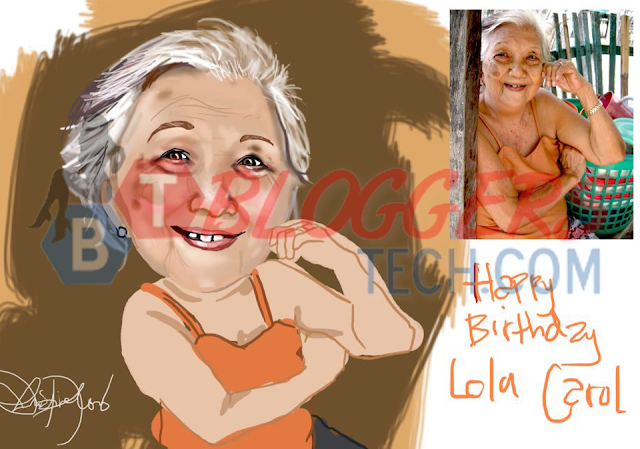 From the caricature to its background, and grandma here looks so pretty with her smile. Also, holiday is coming up so this will be a great gift for your loved ones and give an awesome gift that they'll surely love. You can also make this as a giveaway on your wedding, birthday or as your avatar online and also it can be your blog mascot. 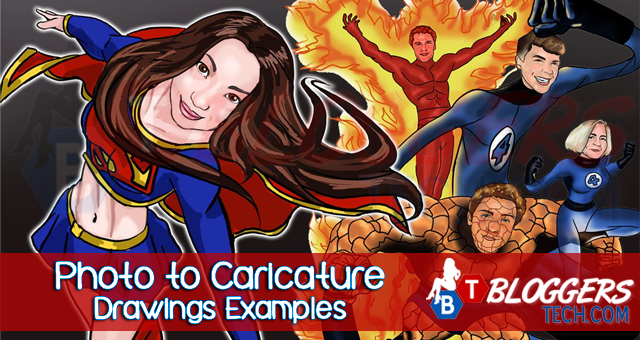 Please note that the caricature examples above are copyrights protected. So please do not use the photos above for personal or commercial use without any permission from Bloggers Tech and our Caricature Artists.